stay tuned for some exciting stuff! i have been craving a session and have one coming up at the end of this month. it feels like forever since i've been behind my camera with new faces in front of it and i'm really looking forward to it! the fam and i are going to topsail island in the morning and won't be back until tuesday afternoon. the laptop is going too, however, it's for isaac's school work only so you will probably see no sign of me online for the next few days. 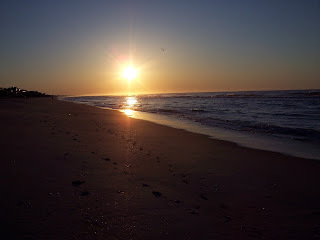 i am praying that this beach trip will renew my soul and energize my body. i have been in SERIOUS need of a vacation for a while! i am also taking a new book, "the shack," and i am super duper excited about reading it on the beach. i am hoping at some point i get the opportunity to do this while isaac is inside doing school work and jonah is napping. is that bad? i need some me time. badly. i am also hoping to reconnect with my hubs and enjoy some qt with him. 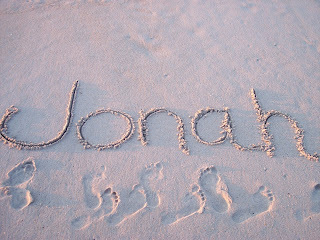 not to mention JONAH'S FIRST TRIP TO THE BEACH....can you say exciting? wow. i can't wait to see his face. :o) Yippee, can't wait for the am. salty air. sand. sun. 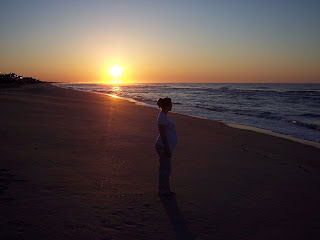 aaaahhhhhhhh........ below is a few picture from our trip to topsail last year. 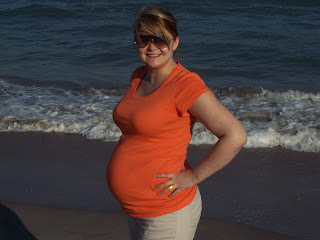 i was 6 months pregnant and we were making pictures to put in jonah's nautical nursery. the one of isaac and me together was taken with the ol' self timer. all of these were taken with my old kodak point and shoot digital. still love that camera.